Lenders to companies which are under stress could now have three options to deal with them if they default on loans: take a haircut as part of a one-time settlement, restructure the loans for a longer tenure as they did when corporate debt restructuring schemes were allowed, or go to the Insolvency and Bankruptcy Code (IBC) for redress. 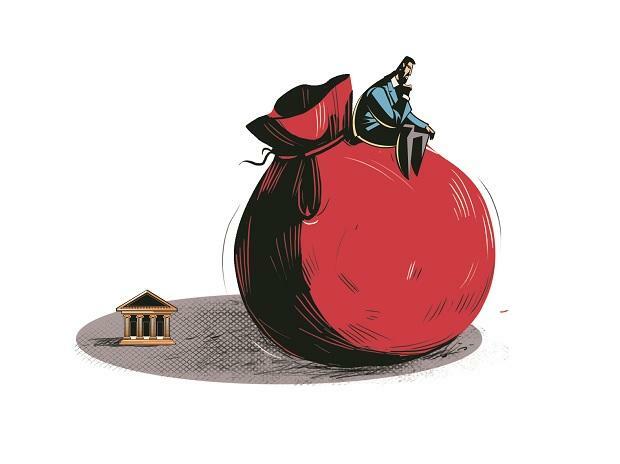 These changes in the options available to lenders come, according to PE funds and bank lawyers who are involved in the IBC process, in the wake of the Supreme Court on Tuesday setting aside the 12 February RBI circular, which allowed a 180-day window to banks to resolve a company default. But they can still find a resolution. According to a Reserve Bank of India circular, a loan becomes a non-performing asset when banks cannot find a way of recovering their money in 90 days. In short, banks still have a window to resolve the default. Lenders can take a haircut as part of a one -time settlement of dues though experts say that, considering the overall environment, it is unlikely that any bank will opt for this course of action. “Such an option could be scrutinised and investigated, especially under existing circumstances where banks have been under the scanner for giving loans without a proper risk assessment,” said a top executive of a private equity fund. Lenders also have the option of restructuring the loans. “For instance, they can convert a 10-year loan tenure to 20 years and tweak interest rates lower. But they might still not recover the loan has had been the case in many CDR schemes which did not work. However, there would be cause for concern if lots of banks were to use this route in lots of cases,” said a banking expert. He pointed out that the government will be keeping a close watch for a greater use of these two options as it could derail the whole IBC process and put off potential investors. There are others, however, who say that there will hardly be any incentive for a bank to do this because, under the RBI rules, the loan will remain a non-performing asset (NPA) on the books of the bank until 20 per cent of the principal is paid off by the company - only then could it be designated as a non-NPA. The third option open to lenders dealing with defaulting companies is referring them to the IBC if a resolution cannot be found. “While under the earlier RBI circular, banks had 180 days to resolve the default issue, they now have 90 days to do so. But earlier, they had no option but to go to IBC, Now they have three options — a one-time settlement, restructuring of loans and also the IBC,” said a PE fund executive.